Dr. Otchy has over thirty years of experience as a surgeon. His strong interest in intestinal surgery for patients with colorectal cancer, diverticular disease and inflammatory bowel disease drove him to become a Colon and Rectal Surgeon. He enjoys caring for patients with the broad spectrum of problems that can afflict the anorectal area as well. After earning a Bachelor of Science from Manhattan College, Dr. Otchy attended the University of Medicine and Dentistry of New Jersey in Newark on a Army Health Professions scholarship and received his Medical Degree. He then completed a general surgery residency and an endoscopy preceptorship at Brooke Army Medical Center in Texas. After spending six more years at Brooke as a general surgeon, he went to the Mayo Clinic for his training in colon and rectal surgery. 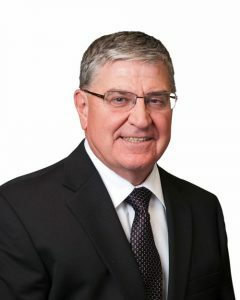 Dr. Otchy served the rest of his military career at Walter Reed Medical Center and became the Chief of the Department of Surgery over his final three years there. After retiring from the army he joined Fairfax Colon & Rectal Surgery in 2001. He has a strong interest in resident teaching and several times has received awards for his work with residents over the years. He has also authored a variety of clinical research papers and book chapters. Dr. Otchy is appropriately proud of his 21 years of service in the U.S. Army. He served in Iraq during Desert Storm and received several medals for his service, including the Legion of Merit, the Kuwait Liberation Medal and the Meritorious Service Medal. He has been married for nearly 40 years, has four children and nine grandchildren (so far). Dr Otchy is active in his church and has lead many small group Bible studies. He presently leads a small group Bible study for christian physicians twice a month. He is also a co-organizer of the annual Physician’s Prayer Breakfast in Fairfax. He has served on medical mission trips to Haiti and Malawi.